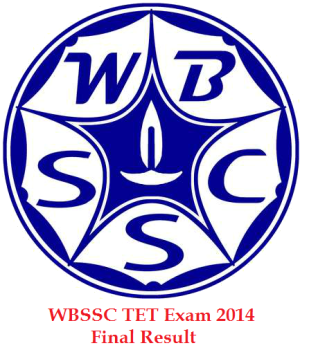 WBSSC has declared the final result for TET Exam 2014. Candidates, who were awaiting the WB TET result, can check the same at wbssc.nic.in. West Bengal Staff Selection Commission (WBSSC) has declared the final result for Teacher Eligibility Test (TET) 2014. The WBSSC TET Exam 2014 was held on 11 November 2015 in West Bengal for recruitment of primary teachers. Around 23 lakh candidates appeared in the examination and this will be a relief to them. The candidates who appeared in the examination will have to visit the official website WBSSC for results. Once you are there the homepage will flash WB TET Results for the year 2014. Candidates need to enter their nine digit roll number in the box given on the result page. Click on the submit button. The result will appear on the screen. Candidates are advised to download or take a printout of the result for further reference. West Bengal Staff Selection Commission (WBSSC) conducts TET examination every year for recruitment of Primary Teachers across the state. A huge number of candidates who look for teaching jobs apply for the examination. The examination is conducted on total 150 marks out of which qualifying marks is 60%. Appeared candidates can take a look at the link given below for more details.